Delivering high-quality self-service is the ultimate goal for businesses as well as customers, but offering this service is not always easy. The question that may arise in your mind is “How do you assist your customers while giving them the freedom they want?” It gets tricky to deliver the best customer experience when you have to achieve two major objectives. The product configurator tool can help you to get a solution in such situations. 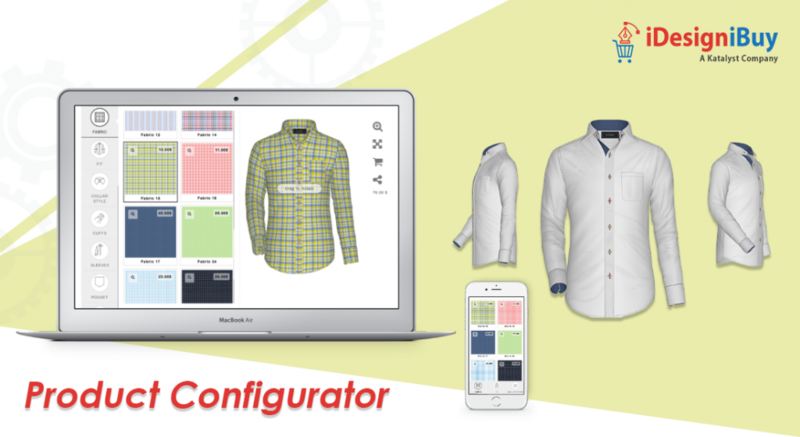 A product configurator is software that facilitates your consumers to enter the specifications they are looking for in an item. After providing the exact specification, users can submit that order to get a quote for a customized product. Item configuration practice encourages the user to participate in self-service and gives your organization the sales tools that you are looking with guided selling. This tool may be the best solution for B2B vendors that deal with products which are too complicated for ecommerce business. Many manufacturers think that their product is too complicated to sell on the ecommerce platform. Some items, especially in the B2B world, come with several options, features, and involved lots of calculations. The product configuration allows customers to combine these complex pieces to achieve their desired products. This practice is much better and convenient than having a list each and every combination in a huge product catalog. Online product configurator software offers you the flexibility to customize products according to your comfort. Ecommerce platform allows you to provide the materials directly from your inventory, upfront to the users. On the other hand, the configurator eliminates combinations that don’t work because of regulatory or technical issues. You can combine the configuration process with your existing ecommerce store to reduce the time used for processing, corrections and order entry. If the sales department knows what exactly customers are looking for, it saves a huge amount of time and efforts. When a customer raises an order request for a quote with specific requirements, it immediately becomes lead and your sales team needs to contact them directly. This permits your sales department to concentrate on customers with specific requirement rather than generating leads with high chances to become dead in the near future. The time requires generating reduced from weeks to minutes, which makes customers happy with your services. Adding this to your ecommerce business allows your product experts to focus on critical issues than assisting customers on configuration options. Item configuration is the best way to meet the requirements of your customers as they design their own products. With a product configurator, you can track when to manufacture which product, which keeps your shop in the right order. As the order is generated by configurator, you have got all the required materials required to manufacture. We are living in an era of digital media where people like to share their creations on various social media mediums. Product configuration gives an individual a platform to show their creative by designing their own product. Once they configure an item, they might want to share it with other people on social media. This will create a free branding for your organization. Every day changing technologies make selling any complex product a breeze. You cannot survive the competition with the limited inventory or a few product experts. This is a world of personalization and product configuration empowers your users.